I’ve been aware of Suicide since 1978 or so. They got mentioned in the scant articles I read in the mainstream news press about this whole “New Wave Phenomenon.” Maybe it was Time or Newsweek. Possibly even Parade Magazine. All of them being the least likely places to have first heard of this band! I have many releases [and whole discographies] that have obviously taken their inspiration from the ultimate reductive synthpunk band. Now it’s finally time for the progenitor of it all I think the 14 year old me would have found this as exciting as it still is today. I would have heard bits of Kraftwerk I was already familiar with but taken to dark and dangerous places. “Ghost Rider” was a clarion call. A shot across the bow. Even 41 years later, hearing it today is still akin to licking an electric socket. The compulsive motorik rhythm is almost the only component to the music bed. A fuzzed out farfisa sounding not unlike a harmonium rides what little melody Martin Rev brought to the game. The rest was down to Alan Vega’s enervated, amphetamine paranoia taken into dub space in the mix. I can certainly hear the effect that it had on “Warm Leatherette,” which would not exist but for this band. The 2:32 running time seems like the worst sort of tease since this one could last seven minutes as far as I’m concerned. The effect of hearing it is like revving a car with a foot on the brake. Our friends Sigue Sigue Sputnik showed little shame in swiping more than the name of “Rocket USA” for their own “Rocket Miss USA.” What was that quote about great artists stealing? The heavily processed rhythm box here sounds like the overwhelmingly warm hum of a cicada swarm as the tom tom beats keep the energy moving forward. Vega’s feral yelps and whoops explode into dub with the reverb set to eleven. Martin Rev’s organ drones take their cues from The Velvet Underground to show that ultimately, they were always the precedent and flashpoint for a startling amount of seminal music. It’s all emotionally in the red zone, as if the cover didn’t make that explicit. The closest thing to a lighter mood followed with “Cheree,” which was built on a simple B-C-D-C melody on the organ repeated throughout as the rhythm box was more articulate in the mix here. More often than not, the rhythms were recorded through monitors with all of the music bleeding for a staggeringly warm, impactful sound. The glockenspiel tones here added to the comic book fantasy of love that the song painted to ease our brows before they put our head into a vise on “side two.” This was by far the closest thing to a pop song here and one could almost imagine it making its way to the radio if the stars had just been in alignment. On “Johnny” and “Girl” the focus on iconic signifiers allowed Vega to indulge in the dark thread of semiotic rockabilly that was always just below the surface of their music and would manifest in a larger way in his subsequent solo career. The “Frankie Teardrop” hit and the gloves came off. The punishingly bleak scenario was always just below the surface with Rev and Vega, who have spoken about living on the street of 1970s NYC. Vega’s ironic exhortations of “let’s hear it for Frankie” are the only semblance of relief in this nightmare vision of poverty and murder/suicide. Strangely enough, the song had an impact on Bruce Springsteen, who cited its influence on his far more tasteful “Nebraska” album. But taste had no place in “Frankie Teardrop” as the song was just about brutal visceral impact. The only song harder to take just might be “The Boiler” by Rhoda with The Special A.K.A. The CD here had three bonus studio tracks to round it out. The remix of “Cheree” had a more complex church organ sound to it, making it that much more inviting for the single that was released in 1978. The B-side, “I Remember” was also here and the heavily treated rhythm box really did sound like a swarm of cicadas. The upbeat “Keep Your Dreams” added a final dose of positivity to the often cold-eyed album. It sounded like a dry run for “Dream Baby Dream” to manifest on the second Suicide album. Listening to this I head more than a touch of Lux Interior in the twitchy psychedelic rockabilly Vega is putting out. I suspect it’s possible that Lux got a touch of his delivery intensity from seeing Suicide at some point in The Cramps development. The track “Harlem” was like hearing a voodoo exorcism! Vega’s blood curdling screams of the title will make your hair stand on end and then the rhythm box poly rhythms certainly prefigure the approach that Wall Of Voodoo would lift to mutate on the west coast. The closing “23 Minutes Over Brussels” was an entire gig that came to a bad end, as taped by Howard Thompson of Bronze Records; their UK label. The gig started off well enough, but by the time the third song [“Cheree”] was beginning, the unruly crowd were chanting “Elvis, Elvis, Elvis!! !” Meaning Mr. Costello; the evening’s headliner. The band got a minute or two into the sonic litmus test of “Frankie Teardrop” before Vega passed the mic into the crowd for some participatory action. The audience then kept the mic, sending Vega into the red and effectively ending the show. As a guerilla rock theatre piece packed with fear and loathing, this is probably one for the books with “Metallic K.O,” which I’ve yet to experience. The second disc adds shading and context, but it’s the original album that stands as an artistic statement that’s as coherent as a laser. 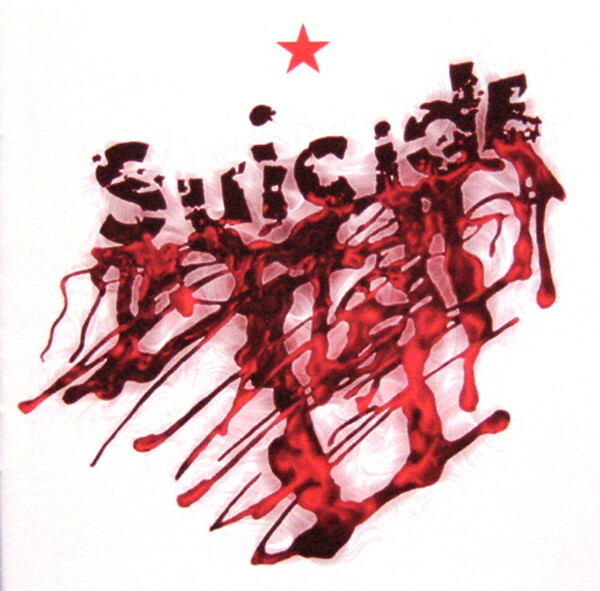 Suicide were sending probes into their audience, who then had to react to art that was electricity and commitment channeling the threats contained on society’s margins and reflecting it back towards the audience. This entry was posted in 30 Days - 30 Albums, Record Review and tagged 1977, 2000, DLX RM, Mute Records. Bookmark the permalink. I have a live cd on ROIR, I think it’s called Ghost Riders, there’s a version of Dream Baby Dream on there that I love. There’s something about Vega’s introduction that hits me every time. An amazing band. I’m sure they could have turned their hands to writing hit songs, but clearly had no interest. I also love that Springsteen was/is a fan and eventually covered Dream Baby Dream. SimonH – Suicide were at Moogfest 2011 and I almost thought it would be good to see them but I was still resistant to the idea of attending a festival back then! Why, momma? Why? For a while back in the 90s I resisted any reformations…thankfully I re thought that before too long! SimonH – My big problem was not seeing acts I liked in the late 80s. The one shot I had to see DEVO and Ian Hunter/Mick Ronson was in 1989 and both times I thought “aaaaah, they’ve lost it… no point in seeing them now!” Hunter/Ronson were playing a bar near the college I attended. It seemed sad. Now I go to see Midge Ure playing a dive bar and am grateful! I mentally kick myself! I was a student in London between 84 and 88, I did see a lot of gigs but suspect I passed on many older acts for the same reason as you.